The Civil Society Groups for Accountability and Probity, have threatened to embark on a nationwide protest following the non-prosecution of former Governors Godswill Akpabio of Akwa Ibom, Rotimi Amaechi of Rivers State, and others accused of corruption. 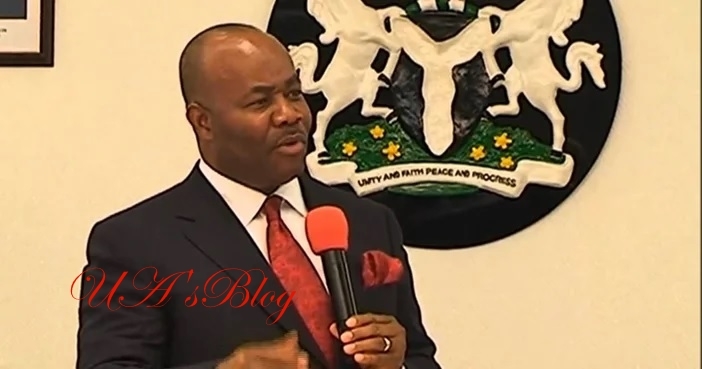 Jonathan Ogwuche, National Secretary of the group, who addressed a press conference on Tuesday in Abuja, said that the Economic and Financial Crimes Commission (EFCC) had not acted on petitions sent to it on Sen. Akpabio. He said that failure of the anti-graft agency to act on several petitions it submitted against Sen. Akpabio, had discredited the government’s fight against corruption. Ogwuche explained that the CSOs would have no other option than to protest, to draw the attention of the international community. “We herein call on President Muhammadu Buhari to immediately direct the EFCC to proceed with the prosecution of Sen. Godswill Akpabio, while a similar presidential directive should be issued to the CCB to proceed with the trial of Akpabio at the Code of Conduct Tribunal. “Justice should take its full course without creating room for sacred cows. We shall mobilise our members across Nigeria for a massive protest if measures are not taken to prosecute Akpabio,” Ogwuche said. He said that the group had within the “ precincts of the law’’ tried to make the EFCC and CCB to prosecute Akpabio.